Welcome to Colibri Inn B&B! Welcome to our Colibri Inn blog. 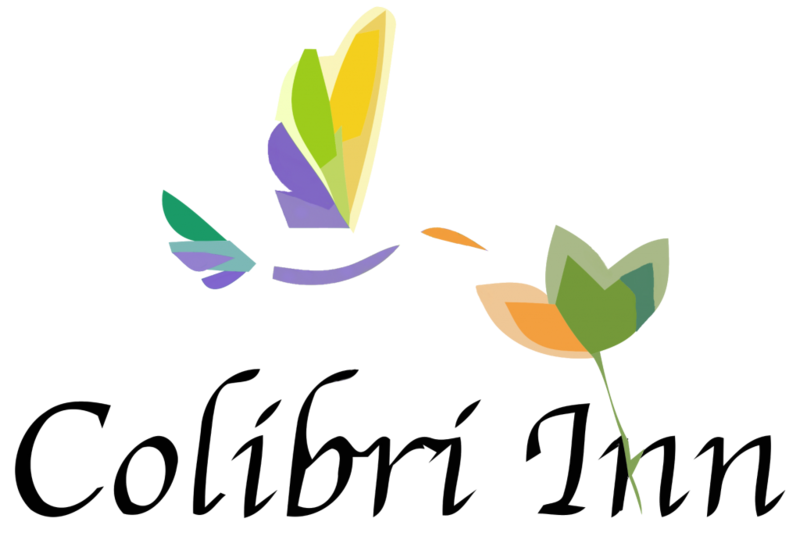 For those of you not already familiar with the Colibri Inn let me introduce ourselves. We are a Mexican & American family who for the past six years has been privileged to live outside of Pátzcuaro, Michoacán in a verdant valley surrounded by mountains and forests. During that time, with the help of many friends, we have created a campus that provides educational and therapeutic assistance to children in need. Recently, to support those efforts, we have renovated an original structure and transformed it into a lovely Bed and Breakfast, the Colibri Inn. The Colibri Inn, named after the humming birds that grace our valley, strives to be a tranquil oasis with country charm and city amenities. Our Inn has four quality guest rooms, a garden terrace, a panoramic sun room, a reading and film library, breakfast room and many other amenities. Although the Colibri Inn shares our campus acreage, it is completely separate from campus activity. At our Inn there are lounges for napping, wine for sipping and terraces that beg you to linger. We invite you to walk or run along well manicured paths; pursue yoga or pilates in our exercise studio; let a local masseuse rejuvenate your body or simply sit in quiet relaxation to marvel at the beauty that surrounds you. So if you want it all – comfort, rest and activity – Colibri Inn may be your destination. To encourage our guests to explore more of this charming part of México we offer complementary excursions to a select group of villages with cultural, artistic or historical significance – the Pueblos Mágicos of Pátzcuaro, Santa Clara del Cobre, Tzintzuntzan and Tupátaro. Our “Magic Excursions” will take you to a realm of cultural richness and artistic achievement. You can watch coppersmiths create art, tour some of México’s most unique pyramids and view architecture untouched by the centuries. Even if the time is not yet right for you to visit the Colibri Inn, we invite you to subscribe to our Blog as we periodically provide our readers with information about local events, sights and artisans. We live in an amazing part of an incredible country. Whether or not we host your stay, we hope you visit Michoacán. This is the México you want to discover.